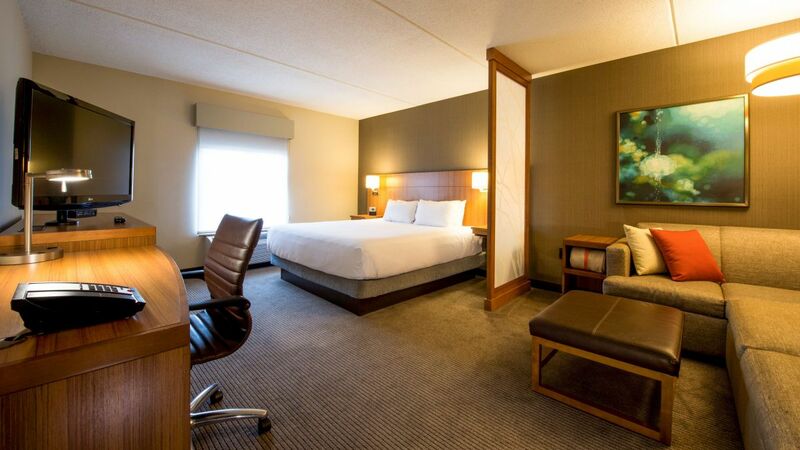 Featuring 204 modern guestrooms, our Braintree, MA hotel is designed with today’s traveler in mind. 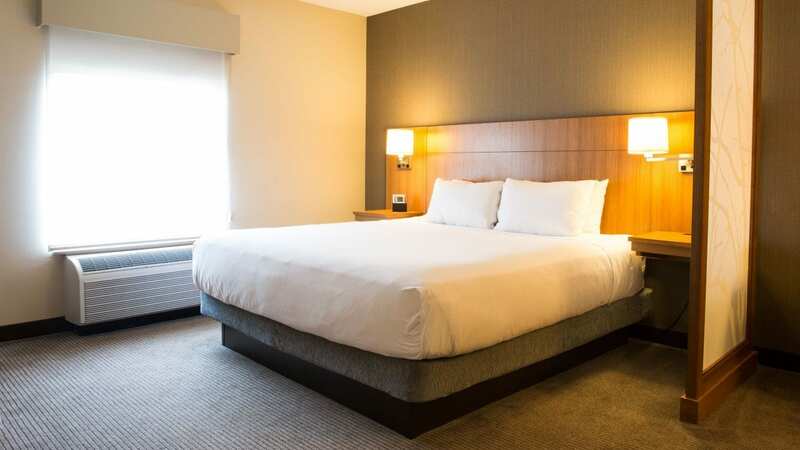 All of our roomy rooms are furnished with the plush Hyatt Grand Bed®, 42" swiveling flat-screen TV, a Cozy Corner Sofa Sleeper, mini-fridge, separate work space with the Hyatt Plug Panel™, and bathroom vanities with granite countertops. We make it easy to stay mobile while on the road with our free Wi-Fi everywhere and remote printing. Did you forget something? 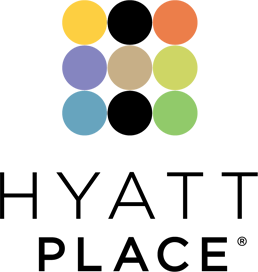 Odds & Ends has you covered with specialty items you can buy or borrow for free. Take in the views from our 400 sq ft high floor room with a king Hyatt Grand Bed®, Cozy Corner Sofa Sleeper, separate sleeping and living areas, and free Wi-Fi. Enjoy the views from this 400 sq ft high floor room with one king Hyatt Grand Bed®, separate workspace, coffee maker, dry bar with mini-fridge, and 42” HDTV. Enjoy the views from this 400 sq ft high floor room with two double Hyatt Grand Beds®, separate workspace, coffee maker, dry bar with mini-fridge, and 42” HDTV. Rest peacefully in our 400 sq ft rooms with one king Hyatt Grand Bed®, Cozy Corner Sofa Sleeper, separate sleeping and living areas, and 42” swiveling HDTV. 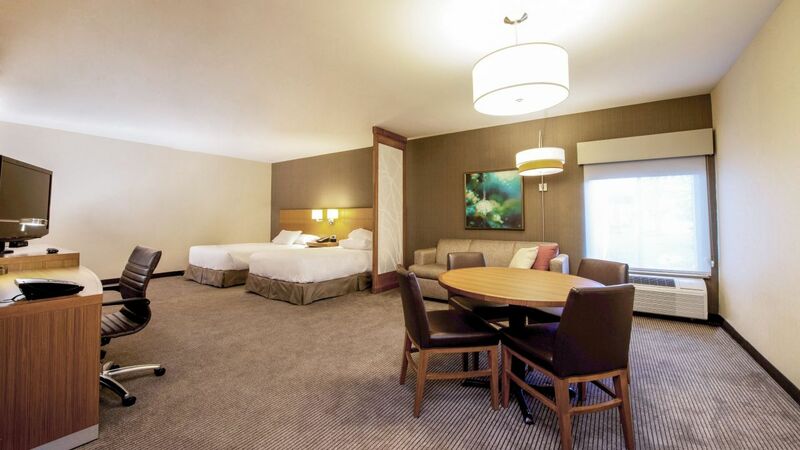 Relax in the 400 sq ft room with one king Hyatt Grand Bed®, separate sleeping and living areas, coffee maker, dry bar with mini-fridge, and 42” swiveling HDTV. Enjoy this 400 sq ft room with two double Hyatt Grand Beds®, separate sleeping and living areas, coffee maker, dry bar with mini-fridge, and 42” swiveling HDTV. 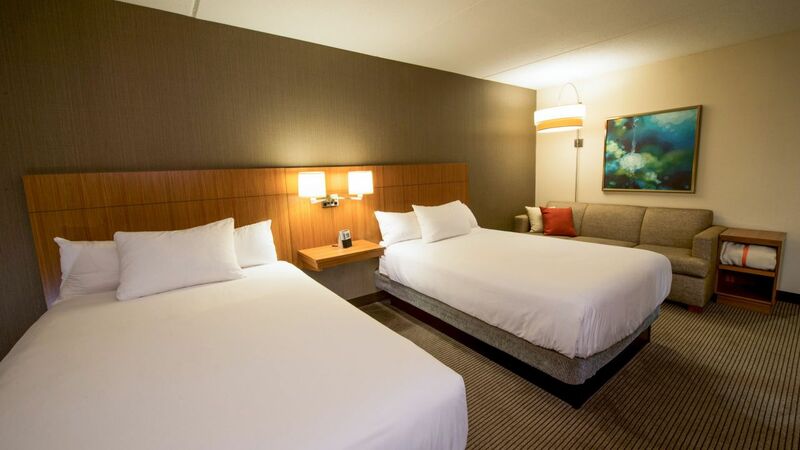 Relax in our 400 sq ft accessible room with one king Hyatt Grand Bed®, Cozy Corner Sofa Sleeper, separate sleeping and living areas, 42" HDTV, and a bath tub. Rest easy in our 400 sq ft room with one king Hyatt Grand Bed®, Cozy Corner Sofa Sleeper, separate living and sleeping areas, free Wi-Fi, and a roll-in shower. Relax in this 400 sq ft accessible room with two double Hyatt Grand Beds®, separate living and sleeping areas, dry bar with mini-fridge, and a bath tub. Spread out in this 400 sq ft room with two double Hyatt Grand Beds®, separate sleeping and living areas, dry bar with mini-fridge, and roll-in shower.